Wednesday, October 17th. 6:00 p.m. - 8:30 p.m.
art.by.beth is coming downtown Rogers! 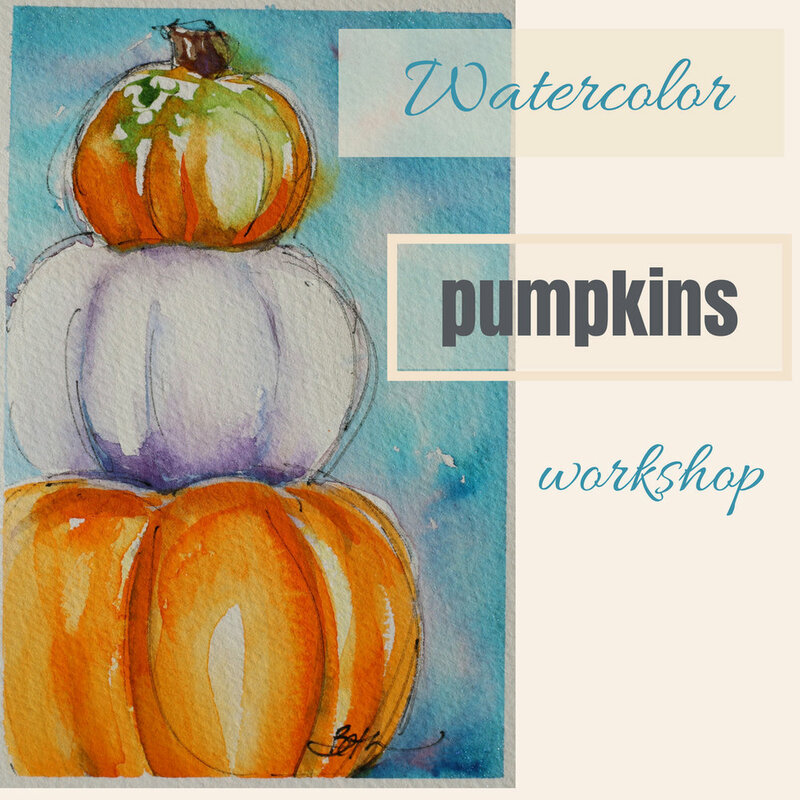 This workshop will be covering techniques on how to represent pumpkins in watercolor. Our subjects will be painted on watercolor notecards. You will be delighted to frame your little 5 x 7 paintings to decorate your desk or mantle for fall or send them out as a personalized notecard. Saturday, October 27th. 9:00 a.m. - noon. art.by.beth is coming to CHICAGO! This workshop will be covering techniques on how to represent pumpkins and fall leaves in watercolor. Our subjects will be painted on watercolor notecards. You will be delighted to frame your little 5 x 7 paintings to decorate your desk or mantle for fall or send them out as a personalized notecard. Monday, November 5th. 9:30 - 12:30 Or 6:00 p.m. - 8:30 p.m. 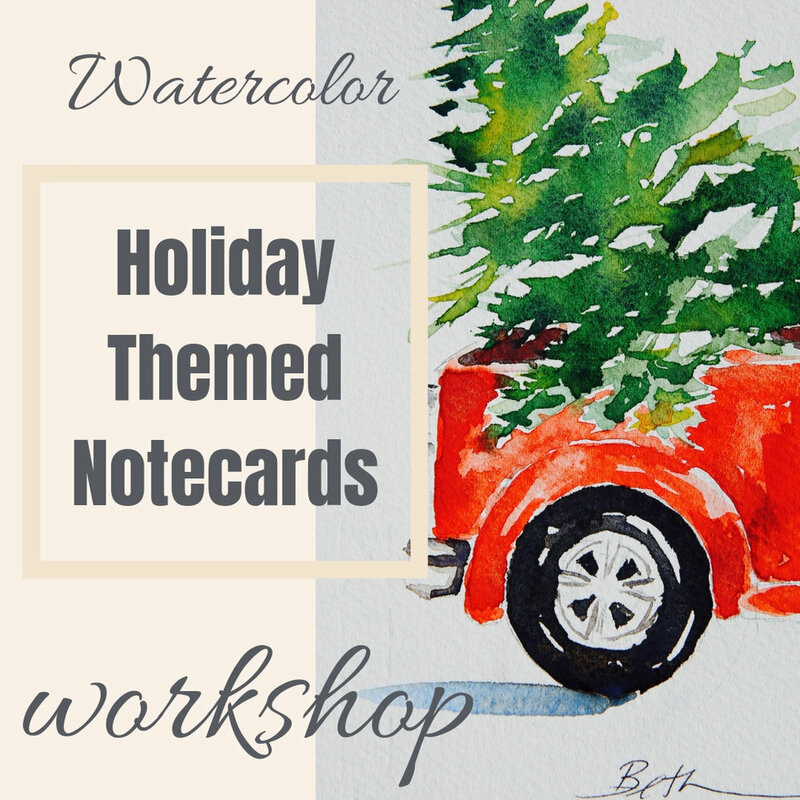 This workshop will be covering techniques on how to represent holiday themed images in watercolor. Our subjects will be painted on watercolor notecards. You will be delighted to frame your little 5 x 7 paintings to decorate your desk or mantle for fall or send them out as a personalized notecard.